‘Bald Rock’ was originally a suburb of the municipality of Balmain and is still listed as a sub-division electorate area for NSW Government elections. Prior to landfill, the hotel was close to the Bald Rock Wharf which had a direct public ferry link with Circular Quay. The wharf was sold in the late 1960s and has since been integrated into the White Bay Container Terminal. The name, Bald Rock, is derived from the geographical nature of the surrounding land. Originally there was no vegetation whatsoever and from the water would be seen the outcrop of rocky mound that became known finally as the area — Bald Rock. 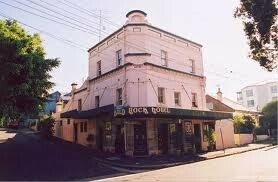 Our proud little pub was built upon the rock in 1876 and is still in its original structure. 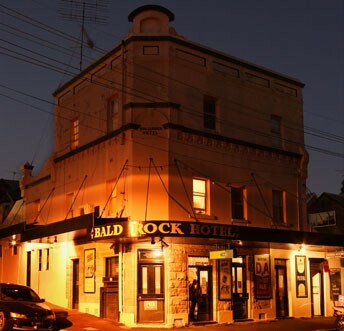 It’s believed to be the oldest continuously licensed hotel still operating in the Balmain/Rozelle area and it reminds of a way of life that disappeared a long time ago.